I won a $25 shopping spree for recruiting in June! This is the stamp set I picked out - Penned & Painted. Stay tuned for more examples with new stamp sets and a special limited time stamp set! 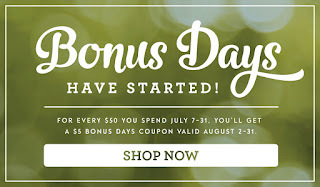 Don't forget Bonus days are going on for another week. 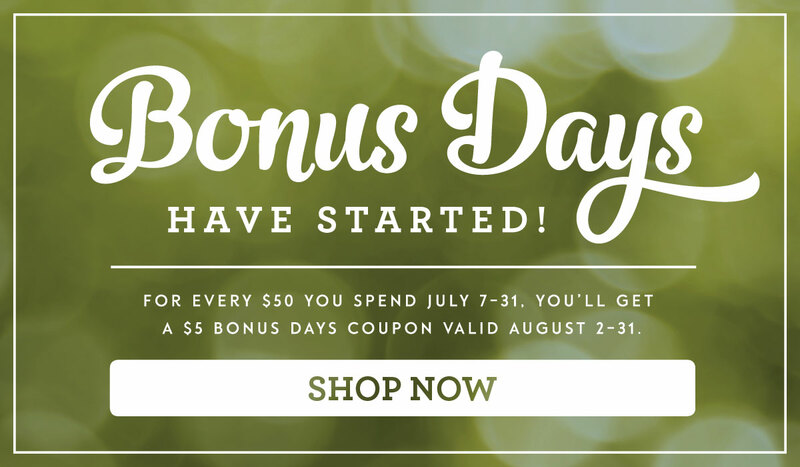 For every $50 you spend in July, you get a $5 coupon to use in August!